Posted by Jill S. Schneiderman in Barry Commoner, connectthedotsmovement.org, earth community, environmental justice, environmentalism, feminism, fracking, Precautionary Principle, Sandra Steingraber. This is cross-posted at CommonDreams.org, SpeakOut, and RH Reality Check. When, as a 21-year-old geology major I chose scientist and activist Barry Commoner as my presidential candidate, I was lambasted by some of my lesbian sisters at Yale for wasting my vote. But upon reading his obituary in the New York Times, I feel proud of the choice I made back then. Barry Commoner, who died September 30, deserves to be remembered as a visionary scientific thinker who advocated for connecting the dots between components in systems of oppression. Barry Commoner, who died on Sunday at the age of 95. And I don’t know if in his late years Commoner was aware of the work of activist Ashley Maier, cofounder of Connect the Dots, an organization that uses the social-ecological model, that individuals live within multiple spheres of influence, to address connections between environment, human and animal well-being. But I’d like to think that his longevity might have been connected to the hope he could have derived from the work of younger activists like Maier. Though I never spoke with my graduate school mentor, paleontologist Stephen Jay Gould, about Commoner, it didn’t surprise me to read his comment in a review of Commoner’s book, Making Peace with the Planet, that it “suffers the commonest of unkind fates: to be so self-evidently true and just that we pass it by as a twice-told tale.” Though he eschewed the politics of science, Steve’s view that Commoner was “right and compassionate on nearly every major issue” rings true as we contemplate as obvious yet imperative Commoner’s prescription of solar energy, electric-powered vehicles, and massive recycling programs, among others, as components of a plan to reverse the formidable, “radically wrong” path of the planet. Posted by Jill S. Schneiderman in Buddhist concepts, climate change, Dalai Lama, earthquakes, fossil fuel, fracking, hydraulic fracturing, Jack Kornfield, Keystone XL Pipeline Project, tar sands. The dedicated activists who gathered to communicate their views to the President and many others are trying to alert the world’s population to a critical basic truth about the Earth: fossil fuels are an exhaustible resource whose extraction is a perilous and foolhardy enterprise. What’s more, they are trying to wake us up to the fact that in our pursuit of energy sources, greed prevents us from acting skillfully. What’s wrong with this attitude? The idea that this complex enterprise can be reduced to as simple a notion as connecting two points by a line can only arise from a profoundly confused mind. Here’s some geoscience in the service of clarity. “Tar sand” is a generic term used to describe petroleum-bearing rocks exposed at the Earth’s surface. Because petroleum is hydrocarbon its combustion for energy contributes significantly to well-established global warming. Geologists know tar sands as natural bitumen which means basically that it is a very viscous (sticky) petroleum. This stickiness distinguishes it from heavy crude oil, another type of petroleum. Tar sand is more like a flowy (if you will) solid whereas crude oil looks more familiarly like a liquid. It’s the stickiness that makes tar sands particularly problematic as technically recoverable resources. Two different methods are used to produce oil from tar sands – surface mining andin-situ (in place) production. Only about 20 percent of all tar sand resources are recovered via surface mining. The rest is obtained through the later technique of in-situ processing which involves pumping steam underground through a horizontal well to liquefy the bitumen and pump it to the surface. Despite publicity about Canadian oil sands from the American Petroleum Institute intended to inform and assure those with well-founded worry about pipeline leaks and water contamination of western aquifers, such processing may be simple but it’s not easy. We need only look at theDeepwater Horizon fiasco to see how difficult it can be to stop simple flow from a pipe. (And the mind of this New Yorker not only is tempted to go to the past but also to project into the future concerns about hydrofracking in the Marcellus shale for another type of petroleum–natural gas). But let me stay in the present. The Keystone Gulf Coast Expansion which has attracted so much attention will involve among other components construction of new pipeline in Oklahoma (Keystone Phase III — 435 miles from Oklahoma through Texas). Okay, pay attention. On Saturday November 5, a magnitude 5.6 earthquake was centered six miles southeast of Sparks, Oklahoma. I’ll reframe this geographically: the strongest earthquake ever recorded in Oklahoma struck about 40 miles south of Cushing, Oklahoma which is the point of origin for Keystone XL’s phase III. The recent earthquake and its continued aftershocks occurred on the Wilzetta fault. It is one of many faults in the area that formed during the Carboniferous Period (around 300 milliion years ago) during an episode of mountain-building activity ultimately leading to the formation of the Rocky Mountains. But we don’t understand the relationship between these recent earthquakes and this old geologic structure. We do know that Oklahoma’s east and west borders are 280 and 750 miles from New Madrid, the namesake of ahigh seismic zone responsible for several of the largest historical earthquakes to strike the continental United States (1811-1812). 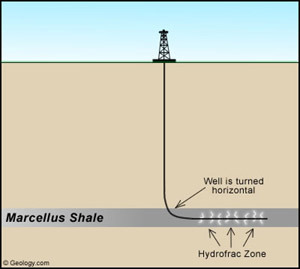 Our efforts to force sticky hydrocarbons out of the Earth’s sedimentary rocks in Alberta, Canada (A), then transport them thousands of miles across a critical aquifer while skirting a high seismic zone (conduit), so we can refine them in Texas (B) only to burn them to create energy and incidentally warm the planet seems to me extreme, unbalanced, and unskillful. This entry was created by Jill S. Schneiderman, posted on November 9, 2011 at 12:38 pm and tagged Buddhist concepts, Environment, Science, Sustainability. Bookmark the permalink. Follow any comments here with the RSS feed for this post. Posted by Jill S. Schneiderman in Dalai Lama, fracking, natural gas, science, shale. That is of course, a statement that applies to people of all kinds; not just Buddhists. As an earth system scientist, I feel the truth of that statement in my bones, every day. So, yesterday when I heard the news that ecologist, bladder cancer survivor, parent and activist Sandra Steingraber had been recognized this year with a Heinz award, I felt a surge of hope. Dr. Steingraber has written numerous books about the perils of a contaminated planet that are simultaneously scientific and personal. In it, Dr. Steingraber acknowledged the connectedness of earth and all life, writing that “…the bodies of my children are the rearranged molecules of the air, water, and food streaming through them.” She announced her intent to devote her Heinz Award to the fight against hydrofracking in upstate New York where she lives with her family. And she implored others to join her in the struggle to fight fossil fuel addiction. In her opinion, dependency on these nonrenewable resources causes us to act irrationally — removing mountains, felling forests, drilling deeply — and to use these fossil fuels as raw materials for pesticides, solvents, and other toxic substances that insinuate themselves into the tissues of all living beings. It seems to me that Dr. Steingraber’s thoughts and motives are as much informed by a sense of responsibility — one like the Dalai Lama wrote about – as they are by science. And that, as I say, makes me hopeful. Posted by Jill S. Schneiderman in fracking, natural gas, Precautionary Principle, shale. Here’s a link to a short video from the American Petroleum Institute about hydrofracking of ‘tight’ shales in order to release and collect natural gas. I have not as much time as I would like to write about this video and I hope to do so in the future. The small point I would like to make is that though this video is designed to reassure the viewer that the technology is safe, I do not react to it that way. I watch this video and feel sad. I think we must pay attention to lingo used by engineers when it comes to these so-called advanced technologies. Engineers and the public relations people who work with them come up with terms that attempt to make something terribly complex and uncertain seem simple and sure. Perforating rock by using explosive materials inserted deep into the earth is called “perfing”; Fracturing fine-grained rock that has lithified over millions of years is called “fracking’. The gas that is released is collected by a permanent well-head device called a “Christmas tree.” They make it sound not only simple but benign but to me this seems a good moment to practice the precautionary principle.